Vilem Duha (pildanovak) committed rBA3c410d63d347: BlenderKit: Don't do checks in the background mode or restricted context… (authored by Vilem Duha (pildanovak)). Vilem Duha (pildanovak) committed rBA8f1363a8170b: BlenderKit: Prevent preview from drawing below UI region in 3d view (authored by Vilem Duha (pildanovak)). Vilem Duha (pildanovak) committed rBA0ea7694caf39: BenderKit: fix upload not reporting failed uploads correctly. (authored by Vilem Duha (pildanovak)). Vilem Duha (pildanovak) committed rBAd7e9c0f2047e: BlenderKit: Don't run blenderkit checks when running in background (authored by Vilem Duha (pildanovak)). Vilem Duha (pildanovak) committed rBAec308bd6d6b2: BlenderKit: fix typo in previous commit (authored by Vilem Duha (pildanovak)). Vilem Duha (pildanovak) committed rBA2f500179718e: BlenderKit: disable version checking, won't be needed in Blender 2.8 (authored by Vilem Duha (pildanovak)). Vilem Duha (pildanovak) committed rBA39b148fed309: BlenderKit: open free assets for non-registered users. (authored by Vilem Duha (pildanovak)). Vilem Duha (pildanovak) committed rBAde3a1c0fc9af: BlenderKit: Rename addon in preferences a bit, so it's more self-explanatory. (authored by Vilem Duha (pildanovak)). Vilem Duha (pildanovak) committed rBA501f660fe857: BlenderKit: save user preferences if user pastes the API key into the panel in… (authored by Vilem Duha (pildanovak)). Vilem Duha (pildanovak) committed rBA7d305b6868e6: BlenderKit: temporarily disable search style and engine. (authored by Vilem Duha (pildanovak)). Vilem Duha (pildanovak) created T63764: library.users_id function is broken (with suggested fix). Vilem Duha (pildanovak) committed rBA3683429de050: BlenderKit: reorder UI unregistration handlers don't complain about properties… (authored by Vilem Duha (pildanovak)). Vilem Duha (pildanovak) committed rBA179b642a4bea: BlenderKit: Silence more printouts and remove fullstops at the end of property… (authored by Vilem Duha (pildanovak)). Vilem Duha (pildanovak) committed rBA449e2c4072d5: BlenderKit: fix unregister - removing draw progress handlers (authored by Vilem Duha (pildanovak)). Vilem Duha (pildanovak) committed rBAc3c7663ed4e7: silencing print outputs. (authored by Vilem Duha (pildanovak)). Vilem Duha (pildanovak) added a comment to rBA50ea2790f917: BlenderKit initial commit. BlenderKit add-on is the official addon of the…. Working on fixing all concerns raised. Vilem Duha (pildanovak) committed rBA50ea2790f917: BlenderKit initial commit. BlenderKit add-on is the official addon of the… (authored by Vilem Duha (pildanovak)). Vilem Duha (pildanovak) updated the task description for T60691: BlenderKit Blender 2.8. 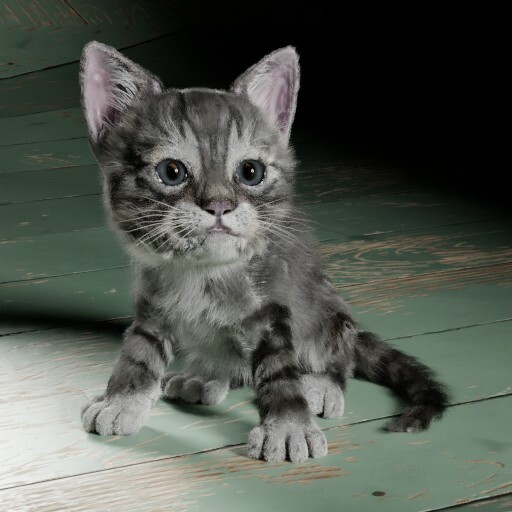 Vilem Duha (pildanovak) added a comment to T60691: BlenderKit Blender 2.8. Vilem Duha (pildanovak) created T60691: BlenderKit Blender 2.8. Vilem Duha (pildanovak) added a comment to T59766: Hair broken when appending a character..
Well, since reporting this one I actually found several weird bugs when linking /appending data, and didn't report those since I thought linking/appending might be unfinished. So this can't be expected to be fixed, and more reports of this type shouldn't be submitted? Vilem Duha (pildanovak) added a project to T59766: Hair broken when appending a character. : BF Blender. Vilem Duha (pildanovak) added a project to T59766: Hair broken when appending a character. : BF Blender: 2.8.
is a much smaller file to show the issue. btw same thing happens when appending object or collection(as in case of the character) also same with linking. Vilem Duha (pildanovak) created T59766: Hair broken when appending a character..
Vilem Duha (pildanovak) updated the task description for T53883: Cycles normal map wrong with box mapping and no UVs. Vilem Duha (pildanovak) added a comment to T53593: rake brush spacing wrong since revision 076616898bff. There should be a bugfix release soon and this bug literally brakes sculpting. Vilem Duha (pildanovak) created T53883: Cycles normal map wrong with box mapping and no UVs. Peeked in the code and it's quite clear what happens. the check if there's enough distance for estimating rake brush orientation is resetting, so small steps aren't possible. Vilem Duha (pildanovak) created T53593: rake brush spacing wrong since revision 076616898bff. Vilem Duha (pildanovak) added a comment to rB076616898bff: Fix T53577: Rake sculpt/paint wrong on first step. Hi, this fixes the problem but introduces another bug, which is even more serious, and that is with scaling of the spacing property. Vilem Duha (pildanovak) added a comment to T53577: Rake sculpt/paint option is always wrong on first step. Vilem Duha (pildanovak) created T53577: Rake sculpt/paint option is always wrong on first step. Vilem Duha (pildanovak) added a comment to rBae72a9206e98: Fix T46163: NLA properties with drivers aren't displayed as having drivers. Vilem Duha (pildanovak) created T53201: f-curves simplify addon bugfix. 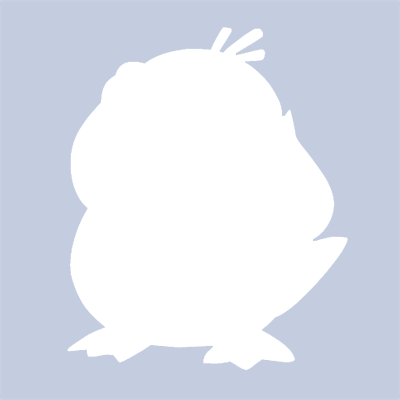 Vilem Duha (pildanovak) added a comment to T52914: Add a new Selection tab. I would like to implement several selection tools for blender, including this panel. I just have to find some way to fund my time. Vilem Duha (pildanovak) added a comment to T44416: AL lib: UpdateDeviceParams: Failed to set 44100hz, got 48000hz instead . Ok, this is still happening for me after installing a new computer. I got now simply a blank console hanging. Vilem Duha (pildanovak) created T50438: Inconsistent text alignment for operator buttons. Vilem Duha (pildanovak) created T49936: Cycles point density get's it's bounding box from basis shape key, which results in wrong renders ('block'). Vilem Duha (pildanovak) created T49918: Make duplicates real crash on clicking operator toggles. Vilem Duha (pildanovak) added a comment to T49800: difining an operator as text.myoperator doesn't enable setting shortcut from context menu..
the addon we are talking about is called Macro. Vilem Duha (pildanovak) created T49800: difining an operator as text.myoperator doesn't enable setting shortcut from context menu..
Vilem Duha (pildanovak) created T49430: append scene with gamelogic broken. Vilem Duha (pildanovak) added a comment to T45537: cycles bake crashes with motionblur on. well the version I reported with isn't that old(2 weeks maximum?) , especially considering Cycles bake isn't being worked on. so it happens also to yesterdays build. Just a comment - of course it's not very logical to have mblur supported with bake ( or woud it ever be? ), but crashes shouldn't happen..
Vilem Duha (pildanovak) created T45537: cycles bake crashes with motionblur on. Vilem Duha (pildanovak) added a comment to T45463: Cycles bake - high-> lowpoly bake triangle orientation is mixed for texture coords in shader normals..
Upadte - this also happens with highpoly objects, so even if the lowpoly object has triangulate, it can still happen. When both objects have triangulate, then it's ok.
Just a comment - it looks very similar to other artifacts you can get in other bugs, but it's not a duplicate. All somehow manage to mix something up, but they are all different by the specific conditions in which they happen. Vilem Duha (pildanovak) created T45463: Cycles bake - high-> lowpoly bake triangle orientation is mixed for texture coords in shader normals..
Vilem Duha (pildanovak) added a comment to T45446: Crash when baking a certain object. Vilem Duha (pildanovak) added a comment to T42015: cycles bake NormalMap problem. Vilem Duha (pildanovak) created T45343: Cycles bake - high to lowpoly artifacts. did some investigation, and I am quite sure that what I wrote was what is happening. Vilem Duha (pildanovak) removed a member for User Interface: Vilem Duha (pildanovak). Vilem Duha (pildanovak) added a comment to T45232: cycles bake artifacts with transparent textures. Vilem Duha (pildanovak) created T45232: cycles bake artifacts with transparent textures. Actually not sure If this was clear - this bug should be renamed, it simply messes up order of faces not only for normalmap baking, but also for combined and probably others. Vilem Duha (pildanovak) added a comment to D772: Bake-API: reduce memory footprint when baking more than one object (Fix T41092). works fine and reduces memory usage drastically in many cases, thus avoids many crashes with baking. Vilem Duha (pildanovak) added a comment to T43985: Setting filepath of an image reloads it, which breaks all kind of generated content (including baking)..
well, I just replaced filepath with filepath_raw command in the example file. i will probably test a bit more and report then. should I report a new one? This could be called at least misleading, or very confusing behavior. The reloading is really not clear at all because it's not in documentation of the filepath prop, only mentioned in filepath_raw.... Also, what sense does it have to load an image which does not exist as a black image? shouldn't it try to load the image and when the file does not exist, then not do anything? Or, when the image path was same before, and I set the path 'to be sure' in the script, then this also has no logic at all..
Just to reply to your comment, not sure if it's a typo, but we talk about setting filepath, not name... although I didn't test if renaming does the same. Vilem Duha (pildanovak) created T43985: Setting filepath of an image reloads it, which breaks all kind of generated content (including baking)..
Vilem Duha (pildanovak) added a comment to T37234: Bas relief node patch. I hope you didn't investigate too deeply, this is old stuff and now I am using a script instead. Actually, it's working well with images, for scenes where I operate with 50+ characters, I can't imagine having it as a mesh with similar resolution (images about 8k X 8k) . confirmed by me too, I just wanted to report the same bug - boolean on the highpoly object for baking messes up the order of faces somehow...real weird stuff going on! open and hit bake to see. Vilem Duha (pildanovak) added a comment to T43388: Cycles Baking gives different results than Cycles Render. Ok, just tried to play with tile size and got rid of artifacts. bigger tiles and odd numbers somehow break up the vertical patterns that appear in the textures. Vilem Duha (pildanovak) added a comment to T43553: Cycles dupli object baking issues. forgot to mention - the actual dupli parent renders too, while it shouldn't render at all. It also renders totally black. You can see it if you make the duplicated object smaller, there are more artifacts coming not from the spheres, but also from the parent object. Vilem Duha (pildanovak) created T43553: Cycles dupli object baking issues. Vilem Duha (pildanovak) added a comment to D808: Adaptive stopping and sample distribution for Cycles. For product and many other shots, I often have lot's of white background, very simple light, and what I need is to clean the noise in the shadow. I understand, that with strong light, there might be strong noise also in the area where everything is lit, but it is out of range for eye. This noise would come out only if color correcting. Would it be possible to allow the algorithm to ignore noise in white areas? or does it allready do so? Vilem Duha (pildanovak) added a comment to T38401: Metropolis Sampling. Vilem Duha (pildanovak) added a comment to T40979: group instances render wrong with 1 of the instances having small scale. 4299b00, and it's there. I also didn't find any recent commits regarding this. Vilem Duha (pildanovak) raised the priority of T40979: group instances render wrong with 1 of the instances having small scale from to Needs Triage by Developer. Vilem Duha (pildanovak) added a comment to T40774: adaptive sampling v01. 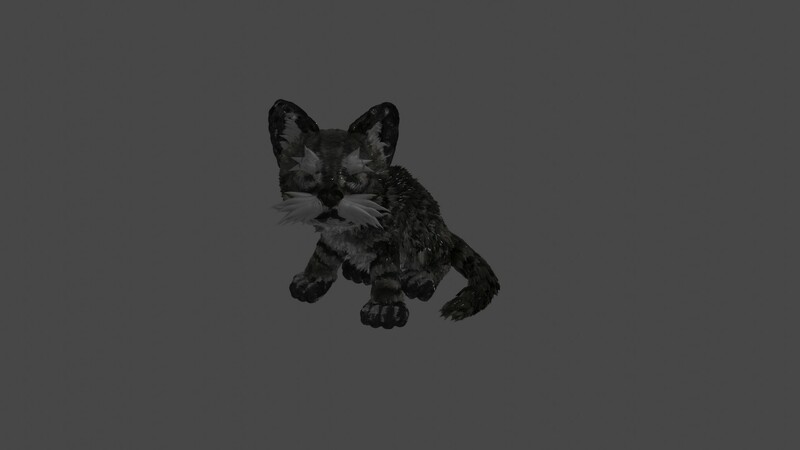 Vilem Duha (pildanovak) added a comment to T40299: Crash on rendering. Vilem Duha (pildanovak) raised the priority of T40299: Crash on rendering from to Needs Triage by Developer. Vilem Duha (pildanovak) raised the priority of T40280: Sequence sound strip plays in cut area after moving below start frame. from to Needs Triage by Developer. Vilem Duha (pildanovak) raised the priority of T40212: instanded group objects don't render(blender internal) from to Needs Triage by Developer. Vilem Duha (pildanovak) raised the priority of T40109: enslaved Metaball in particle system from to Needs Triage by Developer.